Zamalek manager Christian Gross has named his squad that will face Moroccan side Hassania Agadir in the return-leg of the CAF Confederation Cup quarter-finals. The Whites managed to hold for a 0-0 draw in Morocco, meaning they need to win by any scoreline to qualify for the semi-finals of the competition. 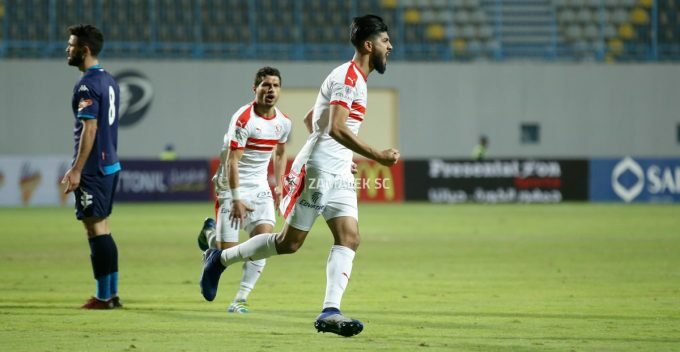 The squad saw the return of Ferjani Sassi, who missed the first-leg as well as Zamalek’s loss to Al Masry in the Egyptian Premier League. On the other hand, Hazem Emam will miss out due to injury, while Ayman Hefny has been excluded by Gross for technical reasons. Defenders: Abdallah Gomaa, Bahaa Magdy, Mahmoud Alaa, Mahmoud Hamdy El-Wensh, Mohamed Abdel-Ghany, Mohamed Abdel-Salam, Hamdy Nagguez. Midfielders: Tarek Hamed, Ferjani Sassi, Mahmoud Abdel-Aziz, Mohamed Ibrahim, Youssef Obama, Ahmed Sayed Zizo, Ibrahim Hassan, Mahmoud Kahraba, Mohamed Antar. Strikers: Hamid Ahaddad, Khalid Boutaib, Omar El-Said.